The first B747-8 planes have now been delivered with the in flight AeroMobile service. Boeing has now delivered its very first B747-8 aircraft that will be completely line fitted with the in flight AeroMobile mobile technology service that will then be expanded across many more. This first craft has been delivered to Lufthansa, a German carrier which seeks to expand the service. Lufthansa has stated that it will be rolling out the mobile technology throughout all of its long haul fleet before the end of this year. Aside from the B747-8 model aircraft, there will be another model from Boeing that has also already received its clearance for the line fit of AeroMobile. This will be the B777-300ER. Among the customers for that aircraft are Singapore Airlines, Etihad Airways, and Thai Airways. 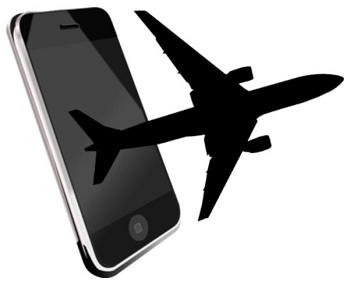 The AeroMobile mobile technology is based in the United Kingdom and allows for cell phone use. The tech makes it possible for passengers on the fitted aircraft to be able to use their smartphones to be able to make calls, send texts, and surf the web while they are on a flight. AeroMobile has established roaming agreements with over 240 wireless operators that will then pass the costs onward to their own subscribers. According to Kevin Rogers, the chief executive at AeroMobile, “Consumers expect to be connected 24/7 and being up in the air is no longer an exception.” Clearly, it is the intention of these airlines to be able to provide a service that allows them to continue to meet those expectations so that they can provide consumers with the experience that they want. Rogers went on to explain that last year, this mobile technology service observed an increase of nearly 80 percent in the number of passengers who were using their smartphones and mobile devices while they were onboard. Within that same span of time, there was also ten times more data usage than there had been the previous year, and there was a 50 percent rise in the number of text messages that were sent and received. Clearly consumers expect to be able to communicate regardless of whether they are in the air or on the ground.